Asked to guess, most Americans believe the country’s Muslim population is roughly 17 times larger than it is, according to a new national poll from Ipsos. A mixture of high media exposure and negative coverage seems to be the reason. "What we find with these questions is that people overestimate things they’re worried about – we see the same patterns when people guess at the level of immigration in countries or crime rates," said Bobby Duffy, managing director of Ipsos MORI Social Research Institute. As the chart below shows, Americans regularly misperceive small populations — especially those that receive outsize media attention or inspire cultural anxiety. Past analysis has found that a large share of media attention on a minority population can increase public perceptions of its size, regardless of whether the coverage is positive or negative. "The amount of discussion influences how big or important we think issues are – and there is a lot of focus on Muslims," said Duffy. Indeed, American attitudes towards Muslims are generally more positive than in recent years, various other polls have shown, and Americans increasingly believe Islam is compatible with other religions. But when the press turns negative, it can have a greater effect on miscalculations, said Duffy. "We know that negative or information that is seen to be threatening sticks in our minds more than positive information — that’s just how our brains work." So even as attitudes are changing, negative information is having an impact on what causes worry. Muslims have also frequently appeared in popular fake news stories and been a hot topic in politics and popular culture. Americans estimates for Muslim populations are, indeed, outsize. 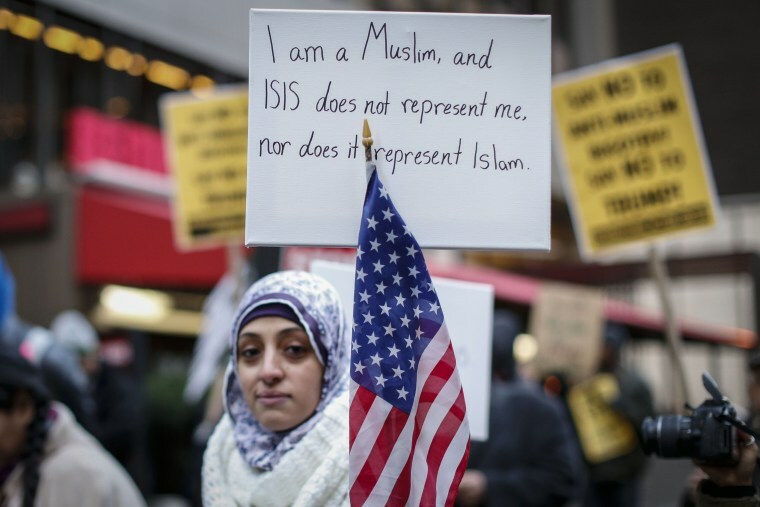 The most recent data from Pew Research estimates that 3.3 million Muslims live in the US — about 1 percent of the population. But other countries estimates in the recent IPSOS poll are also off by similar margins. The French and other Western countries experiencing demographic changes tend to overestimate their populations as well.